“How are you doing?” I asked my sister on the phone last Thursday. And just like that, the very next day, we—my two younger sisters, a friend and her mom, Masood, and I—left Sharjah for Muscat on a cloudy and wet January morning. By 8:30 am, we were driving down E11 or the Emirates Road —now known as Sheikh Mohammed bin Zyaed Road—following the Hatta-Oman sign. We made a couple of stops, first for breakfast and another to fill up the tank, then came across the first check post a couple of hours later. They were randomly checking for passports; they let us go, but checked the passports of our friend and her mom. 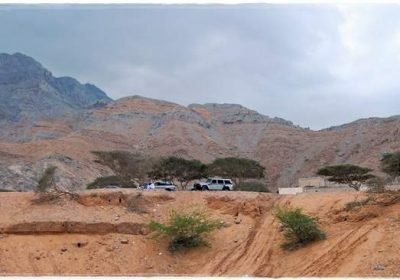 These are the beautiful Hajjar mountains, and Hatta is the main town (although still a part of Dubai). 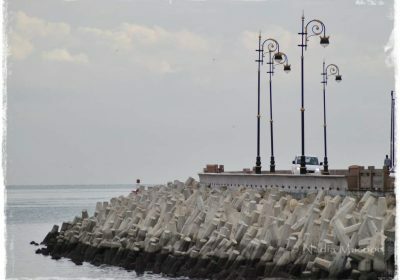 It has a cooler climate, so people usually drive up here during weekends or holidays, the younger Emiratis racing each other in their flashy sports cars. Anyway, so there were a couple of check points before we finally saw the passport office. It’s a pathetic-looking, makeshift office on the right side of the highway. You don’t want to miss this, however; if you continue driving into the Omani border, the officers there will send you back here to have that exit stamp on your passport! We parked the car and welcomed the cold breeze hitting our faces. It was really cold. I couldn’t keep the camera steady. Yes, I started clicking away the moment my feet touched the border soil. We showed our passports to the young Emirati officer behind the window and had exit dates stamped on them. Our friend, however, wasn’t cleared to exit the country—her passport was expiring soon. 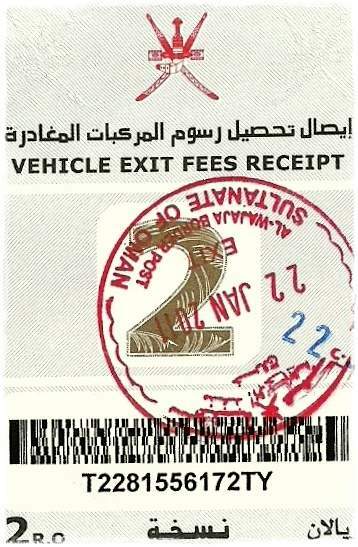 To exit the border into Oman, passport and U.A.E. resident visa should be valid for the next 6 months. So she and her mom decided to drive back to Dubai. We took turns taking pictures right in front of the passport officer’s window, smiling brightly. Six hundred and twenty-two photographs later, we spotted the “No Photography” sign, and quietly walked away. We’re law-abiding people like that. Moments later the officer climbed down from the cabin and followed us. I thought he was coming to confiscate our cameras, but it turned out that he was worried that all of us were driving back to Dubai with the exit stamps and all. He left after being assured that we were indeed going to exit the country. So we headed back to the parking lot and spent the next thirty minutes taking group pictures with the mountains as a backdrop. And we were enjoying the cold breeze; we’re deprived of such glorious weather for most part of the year. See the difference? Their office is grand! There weren’t many people around, probably due to the rain, so getting the visa was a breeze. We filled up a small form available at the counter, paid 50 dirhams ($14), and got a single entry visa that would allow us to stay in Oman for the next 28 days. Dirhams are accepted here, but beyond this point you would need to pay in riyals. Our car’s insurance covers both the U.A.E. and Oman so we didn’t have a problem, but for those who don’t have insurance you can get one here. The officer will ask you to show the papers. He’ll give you a small piece of paper that you need to show at a few check posts into Oman. The officers at the Omani border were really nice and friendly. When my sister inquired if they had a city map in English, one of the guys behind the counter handed over six leaflets and two books, one of them in German. “How about this one?” the guy asked, handing her a book in Chinese. 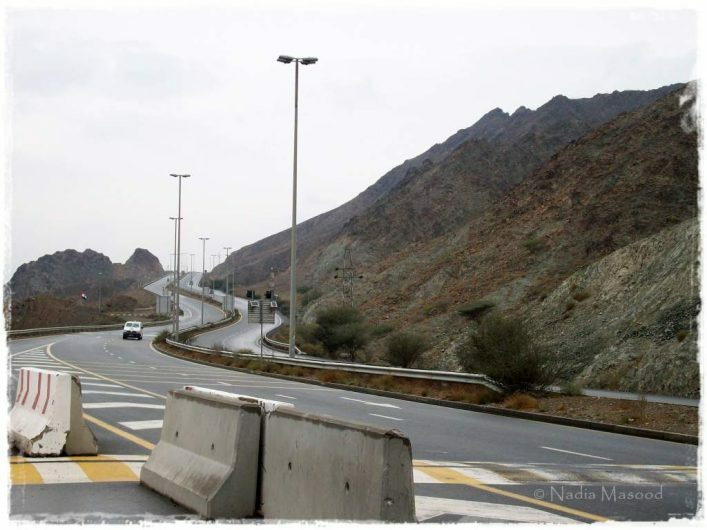 We drove towards Oman, and asked the officer at the last check post for directions to Muscat. “Oh, that’s easy!” we said out loud and thanked him profusely. “Drive safely!” he smiled back. He gave us the correct directions alright. Except that he didn’t mention that Muscat was 300 kilometers away. It was an excellent weekend, Alhumdulillah. Enjoyed every bit of the whole long drive. Needless to say, nice pictures! I’m waiting for more pics of Muscat! I’m glad there’s going to be Part 2! 🙂 And I loved the humor bits of your forbidden photography and the maps! Really the officers thought your sister knew chinese? This is so funny! thank you for sharing,Nadia! Nadia, I love to hear about your travels and to see your photos. I had to come visit you because I was recently asked to write about 5 fabulous bloggers I know, and you were the first that came to mind. I’m working on writing that post right now. Thank you for always encouraging me the past few years. Oh my! I’m so flattered, Mary. Thank you so much! I remember that we were both new bloggers with only a handful of posts. You’re working really hard and I can see that it’s paying off. Good luck! Sounds like fun! Can’t wait for more pictures! BUT, Oman borders with three countries: UAE, Saudi Arabia and Yemen. Good luck with that map test. We are planning a trip to Oman and I was looking for cost of the visa at the border. Your post really helped me. Thanks. Hahahaha! Your post made me giggle! I loved it. Your photographs are beautiful. Oh wow, you found the Oman post. I LOVE that country – gorgeous landscape and beautiful, friendly people! Our family plans to enter Oman (going to Muscat) from Dubai (UAE) next week. We rented a 15-seater mini-bus from Dubai. Our origin is form Singapore/Malaysia. 1) DO they allowed a rental 15-seater mini-bus to cross the border ? 2) One of our passenger passport is expiring on 18-June-2014 and we plan to cross the border on 19-Dec-2013. This means her passport validity is exactly 6-months. Will they allow her to cross the border? Look forward to your speedy response and advise. Thanks. 1) Yes, they will allow that, provided that the insurance covers Oman as well. 2) Yes, your passenger will be allowed to cross the border. A note of caution though: if you have someone in your group whose UAE visa is sponsored by a family member – parents, sibling, child, or spouse – then make sure that the sponsor is traveling as well, otherwise they won’t let this person cross the border. 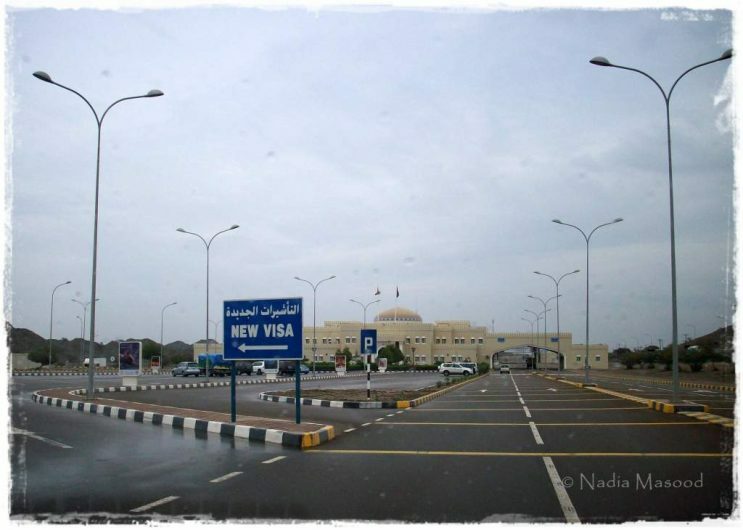 Will an Indian female sponsored by her company and traveling with her husband get visa on arrival and require an NOC from company to enter Oman via hatta border??? Do you know any descent hotels/motels nearby to stay overnight? Planning to travel on the weekend. Hi Mahi. 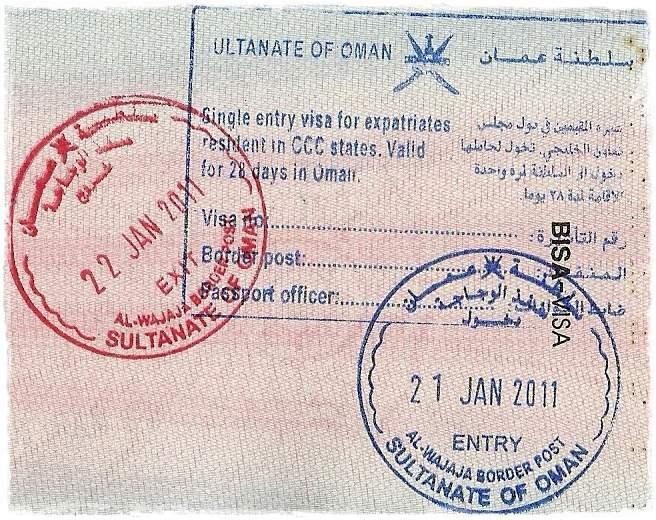 Yes, you will be able to get visa on arrival in Oman and you do not need NOC from the company. 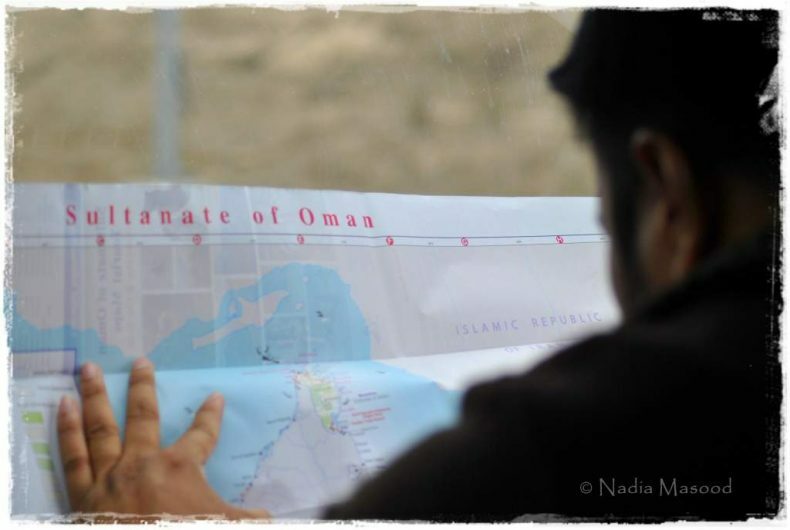 Where exactly in Oman are you planning to visit? If you have NOC, then it shouldn’t be an issue.